With the free bonus package from Sewing Machine Plus AND generous payment terms, what’s not to like! These accessories will give you everything you need to take your Sewing and Quilting to the next level! Designed with backlit LCD screen displays the Janome lets you clearly see detailed information. This quilting sewing machine also allows you easy navigation thanks to the touchscreen pad. 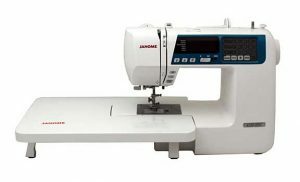 The Janome 4120QDC-B also comes with a very comfortable work table. The threading and bobbin winding guides at the top of the machine to make it easier to use. 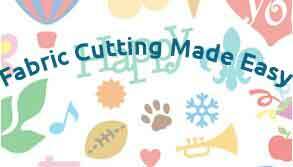 If you have used other Janome sewing and quilting machines before this, then this also comes with the same ease of operation. Extra thick fabrics or multiple layers – a must for quilting! 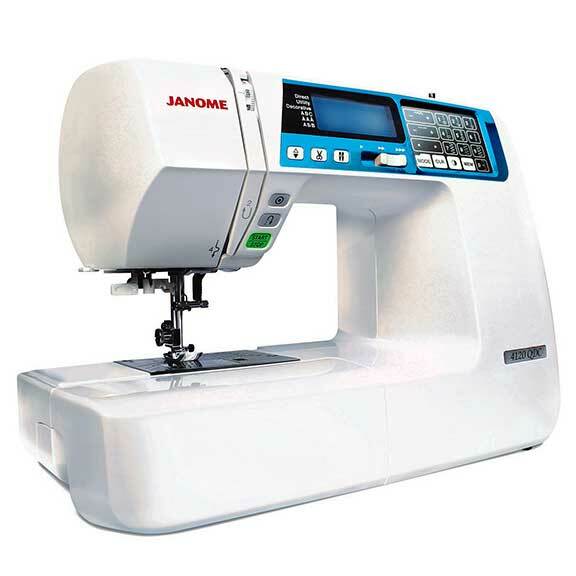 This Janome also has twin-needle functionality which increases versatility. It is great fun selecting stitches. The touchpad is set up in such a way that selecting stitches is a breeze. You simply depress the ‘mode’ button until the desired stitch range is selected. Then choose direct, decorative or alphanumeric fonts, which are seen by a clearly lit indicator. This moves up and down as the mode button is pressed. Once you’ve chosen your specific stitch, it’s easy to program into the machine by using the touchpad. With the Janome Quilting Sewing Machine, you can program a series of stitches to create your own customized sequences and monograms. The mirror image feature is also a nice touch, you can really get creative with these features! It comes with generous features. Between the sewing foot and platform, space is a bit limited.